It's never been so easy to be stylish and green in the kitchen! Recycled and repurposed backsplashes are now widely available and in some cases make easy DIY projects. They're becoming more and more budget-friendly as well, so there's really no excuse not to choose eco-friendly when installing a backsplash. 1. Recycled post-consumer or post-industrial content glass/ceramic/clay tiles look like typical tiles and come in all kinds of colours and shapes, but are made from a composite of recycled ceramic, glass, clay, porcelain and other waste material. It saves this waste going to a landfill and also prevents consumption of new materials that makes a big footprint on the earth. 2. Recycled aluminium is another great option, as aluminium takes 200-500 years to degrade in a landfill. 3. Cork is a renewable eco-friendly backsplash option that's water resistant and antimicrobial. 4. Salvaged material you can find in a salvage yard - such as barn boards, bottle caps, leftover wood or brick work great for a unique backsplash. 5. 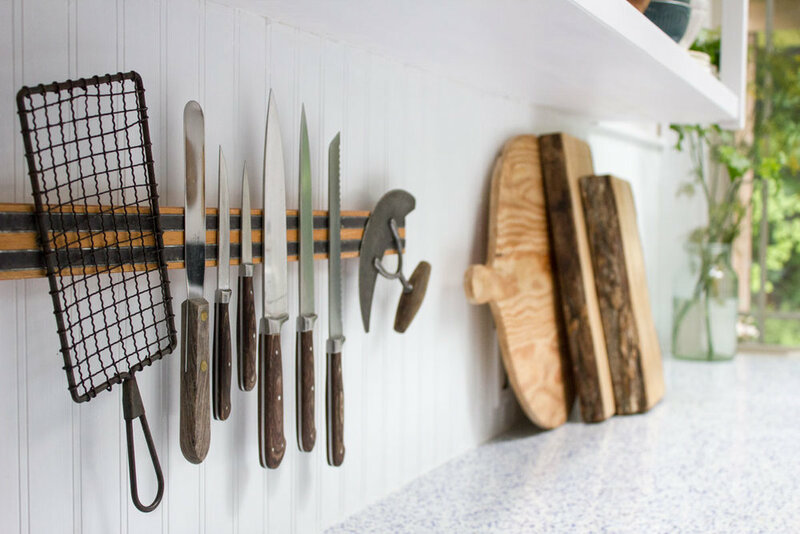 Finally, consider creating your own backsplash using paint, plexiglass, pegboard or even removable eco-friendly wallpaper. If you found this post helpful, please Pint and Share. Many thanks!